Protester in Palestine and the Jews will never learn. Khaibar was an ancient settlement 300 km from Madinah on the road to Syria. When the emperors of Rome and Persia banished the Jews from their countries, they settled in Khaibar. They built forts and settled down to agriculture in the fertile land. Nearly all the Jewish tribes found Khaibar as their haven. 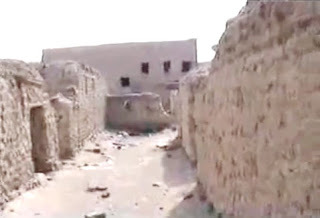 With the advent of Islam, Banu Nadhir tribe was expelled from Madinah by the Muslims for attempting to assassinate Rasullulah SAW and breaking the Treaty that was binding between them and the Muslims. 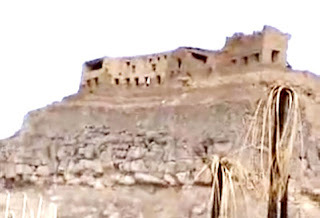 Remnant of Jew's Fortress in Khaibar. The campaign of Khaibar was one of the greatest. The masses of Jews living in Khaibar were the strongest, the richest, and the best equipped for war of all the people of Arabia. They were more attached to their religion, more intelligent, and more learned. Their hatred and bitterness for the Muslims surpassed that of the Quraish. The Muslims for their part, were certain that as long as the Jews held power in the Arabian peninsula, they (the Muslims) would not be left in peace. The hatred for the Muslims was deep rooted and they decided to prepare and march on Madinah and destroy them for ever from the face of the earth. The Banu Quraizah and Banu Nadhir were foremost in this conspiracy since they were banished from Madinah in a disgraceful manner. They drew up war pacts with all the Jewish tribes. They promised the Arab tribe of Ghatffan half the yearly produce of Madinah as their share when victory was achieved. The Munafiqeen, led by Abdullah ibn Ubay ibn Sulool promised the Jews their support in order to defeat the Muslims. Rasullulah SAW was well informed of the activities and preparations of the Jews. However, his love for peace and the fear of plunging his faithful Sahaba (R.A.) into a bloodbath against the unrelenting enemy compelled him to try and reason with the Jews. He sent Hazrat Abdullah Ansaari (R.A.) to Sallaam ibn Abu Al-Huqayq the leader of Jews to negotiate for peace. But Salaam ibn Abu Huqaya became arrogant and abusive towards the Muslims. Hazrat Abdullah Ansaari (R.A.) executed him and returned safely to Madinah. The Jews were prepared to the hilt to go out and attack Madinah. Meanwhile, Rasulullah's strategy with the advice of the Sahaba (R.A.) was to attack the Jews in their own stronghold. In Muharram 7 A.H. 1600 Muslims left Madinah and made camp at Rajee, which was a strategic position between the Jews and the Banu Ghataffaan. Some Muslim women also accompanied the Sahaba (R.A.) to render assistance to the sick and wounded. Among them was Ummi Salma or Ummi Salim (R.A.). For the first time an Islamic standard banner was introduced with three flags. One flag was prepared from the shawl of A'ishah bint Abu Bakr (R.A.) and this was entrusted to Ali ibn Abu Talib (R.A.). The first encounter the Muslim faced was with Banu Ghatafaan. When they saw the Muslims, they changed their minds and fled into their territory leaving the Jews to fight their own battle. After disposing of the Banu Ghatafaan, Rasulullah SAW ordered the Muslims to camp for the night and attack the Jews in the morning. Rasulullah SAW and his Sahaba (R.A.) crossed the distance between Khaibar and Madinah in three days. The Jews of Khaibar did not learn of their move until the Muslim forces stood in front of their fortifications. In the morning when the Khaibar workmen went out of their homes to go to their plantations, they saw the Muslims army for the first time. The workmen ran away shouting to one another, 'there is Muhammed SAW and his army'. The intricate design and architecture of Jews in Khaibar. 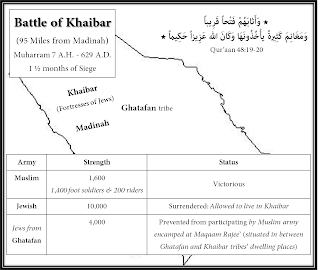 Nonetheless the Jews of Khaibar did in fact expect Muhammed's SAW pre-emptive move to stop the tribes of Khaibar. After consulting one another and listening to Sallam ibn Mishkam, their chief, the Jews decided to assemble their wealth and children in the fortified quarters of al-Watih and al-Sulaim. 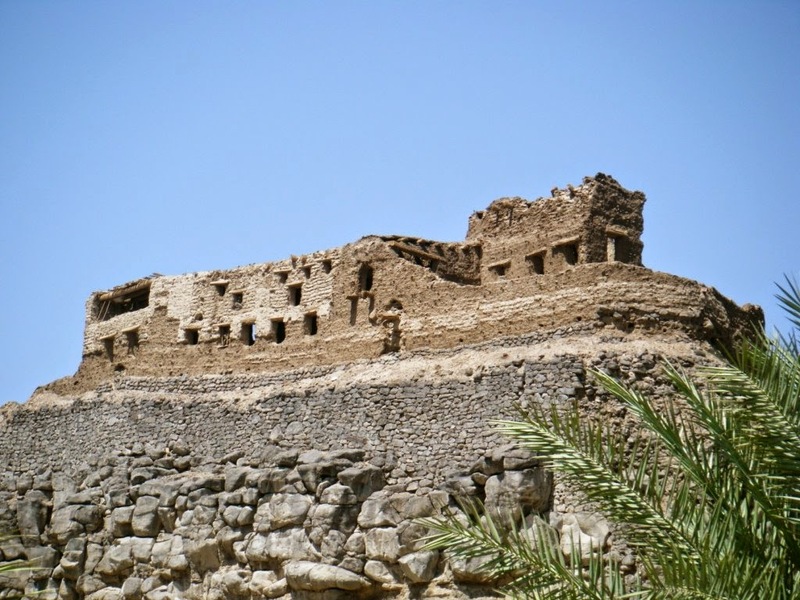 They placed their ammunition at the fort of Na'im and placed their fighting men at Natat where Sallam ibn Mishkam would lead them in battle to the bitter end. Another Remnants of Jews Fortress in Khaibar north of Madinah. 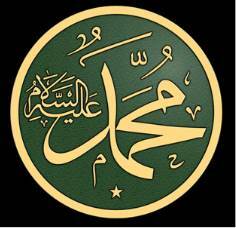 Rasulullah SAW permitted him and he sprang to meet Marhab. 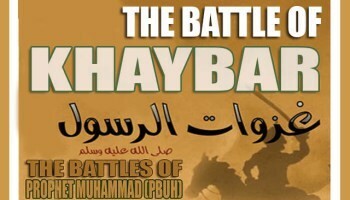 The two warriors fought valiantly and, at one stage, Marhab almost killed the Muslim soldier. Muhammed ibn Maslamah (R.A.) however, intercepted the falling sword with his shield which bent under its weight and was cut so that the sword could not be pulled out and disengaged. 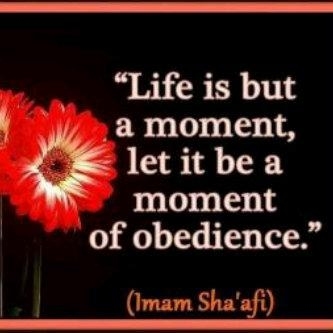 Muhammed ibn Maslamah (R.A.) seized the opportunity and gave Marhab a fatal blow and killed him. Zubair ibn al-Awaam (R.A.) soon killed the other Jewish warrior Yaasir. The two armies met at Nat'at and fought each other strongly. There were fifty wounded among the Muslims on the first day and more than this among the Jews. When Sallam ibn Mishkam was killed, Al-Harith ibn Abu Zainab took over the leadership for the Jewish forces. Charging from the fortress of Na'im, the new leader attacked the Muslim army, but he was soon repulsed by Banu al Khazraj, who were deployed in that area. Realizing that this was their last stand in Arabia the Jews fought desperately. As the days went by Rasulullah SAW sent Abu Bakr (R.A.) with a contingent and a flag to the fortress of Na'im; but he was not able to conquer it despite heavy fighting. Rasulullah SAW then sentUmar ibn Khattab (R.A.) on the following day, but he fared no better than Abu Bakr (R.A.). On the third called Hazrat Ali ibn Abu Talib (R.A.) and blessing him, commanded him to storm the fortress. Ali (R.A.) led his forces and fought valiantly. This time the Muslims successfully stormed the fortress. 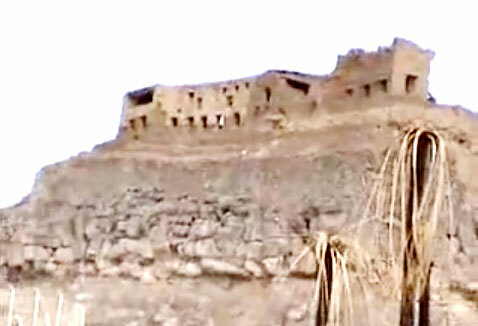 The fortress of Na'im fell after the Jewish leader, al-Harith ibn Abu Zainab was killed in the battle. Having stormed the fortress of Na'im the Muslims then directed their attention to the fortress of al-Qamus which they stormed after heavy fighting. Provisions were becoming rather scarce within the Muslim army. Not until after they had conquered the fortress of al-Sa'b ibn Mu'adh was their food shortage relieved. From within that fortress they found large stores of food that enabled them to continue the blockade of other fortresses. Throughout this campaign, the Jews would not give up a single piece of territory without putting up a fierce fight. Despite the strong fortress the Jews was defeated. The Muslims then directed their attention to the fortress of al-Zubayr and surrounded it for a long time, waging a number of harsh attacks without being able to storm it. At one stage, they seized the water supply of the fortress and stopped its flow. The Jews were forced to come out and engage the Muslim forces in battle but, facing the onslaught of the Muslim forces they fled. Their fortress fell one after another into Muslim hands, the last of them being those of al-Watih and al-Sulaim in the al-Katibah area.Only then did the Jews become truly desperate, and they begged for peace. 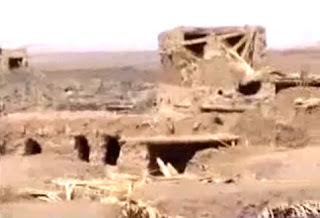 The siege of Khaibar lasted for twenty days. Rasulullah SAW accepted their plea and permitted them to stay on their land. The terms of the surrender provided that they (Jews) would be given half their crops in compensation for their labour. The Jews of Khaibar were thus treated differently from those of Banu Qaynuqa and Banu al Nadhir who were required to evacuate their lands altogether for ther treachery. With the fall of Khaibar, Jewish power no more threatened Islam or the Muslims. Despite Rasulullah's SAW crop sharing arrangement, the agricultural economy if Khaibar weakened after the destruction of Jewish political power. Abdullah ibn Rawahah (R.A.), Rasulullah's SAW deputy for the division of the Khaibar crops, dealt justly with the Jews. So honourable was his conduct that he returned to them the copies of the Torah seized by the Muslims in the course of the battle. This is in direct contrast to the manner in which the Romans treated the Jews when they conquered Jerusalem and burned all the sacred writings. 'I have a premonition that this dish is poisoned'. The one mouthful which Bashr ibn al Bara (R.A.) ate was fatal to him and he was martyred. 'The existence of the earth and the sky are dependent on such universal justice'. This had profound effect on the neighbouring tribes and clans . 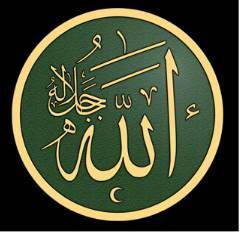 Many began to realize the nobility and tolerance of Rasulullah SAW. 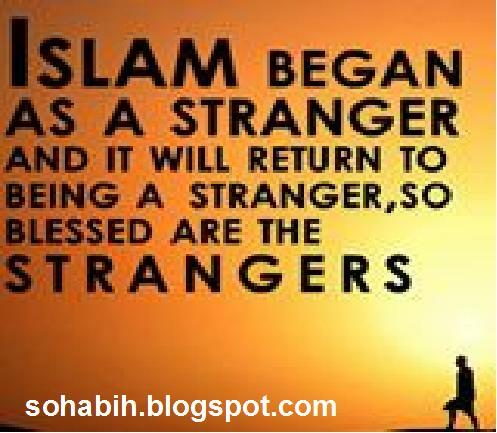 Thousands of them drifted away from their heathen way of life and embraced Islam. The Banu Ghatafaan also paid tribute to Rasulullah SAW and became Muslims. Safiyah (R.A.), the daughter of Huyay ibn Akhtab of the Banu al Nadhir was one captive. She was granted her freedom and was married to Rasulullah SAW. Many Muslims feared that this women who was a Jew by birth may harm Rasulullah SAW thus they became very vigilant that no harm came to Rasulullah SAW..
'O Rasool of Allah, I surely wish that from which you suffer might be in me rather than in you'. 'Go on wink at one another! By Allah I know that Safiyah is truthful and loyal'. 'Victory over Khaibar or reunion with Ja'far'. The Muslims were safe in Madinah where they led a prosperous and peaceful life. As the year came to a close, in the month of Dhul Qaidah, Rasulullah SAW set out with 1400 Sahaba (R.A.) to perform the 'Umrah', in accordance with the provisions of the Hudaibiyah Treaty, and to satisfy the Muslim longing to visit the Holy Haram (Ka'ba) and perform the 'Umrah'.